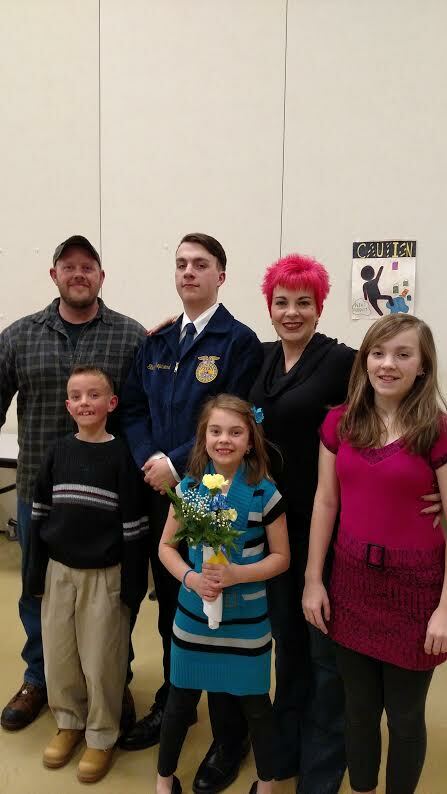 Last night, the Garden Spot FFA held their annual FFA banquet in Martin Meylin's cafeteria. With a theme of "Activate: "Purpose - Passion - Potential," the banquet honors and celebrates the accomplishments of the Garden Spot members for the year. First year members receiving their Greenhand Degree. Preparations for the banquet have taken weeks. But things kicked into high gear yesterday when FFA members decorated and set up the Martin Meylin's cafeteria for the big night. Many people attended the banquet not just FFA members and their family but faculty and staff from the entire Lampeter-Strasburg School District. People come for Hess' all-you-can-eat catering but enjoy seeing the awards given and listening the member's speeches. Steven Shepard remarked that he and his friends were a little nervous about do a speech but still did a great job. Luckily the "clean up process" did not take very long. 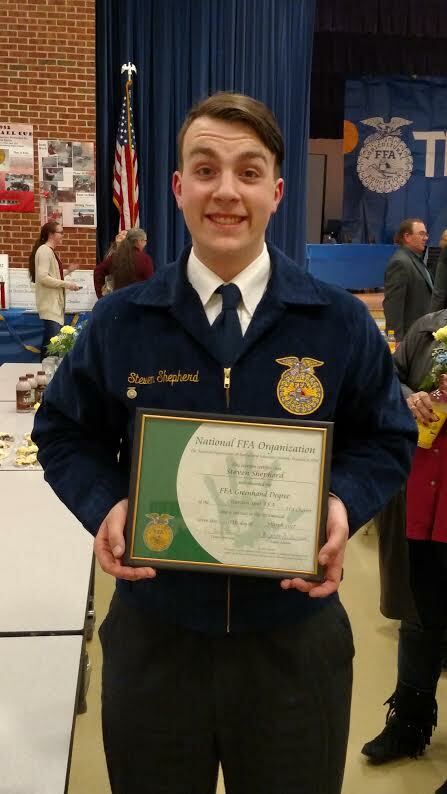 The tables were cleared in just a matter of minutes and FFA members were on stage having their photos taken. Not to mention those embarrassing photos with family....right? 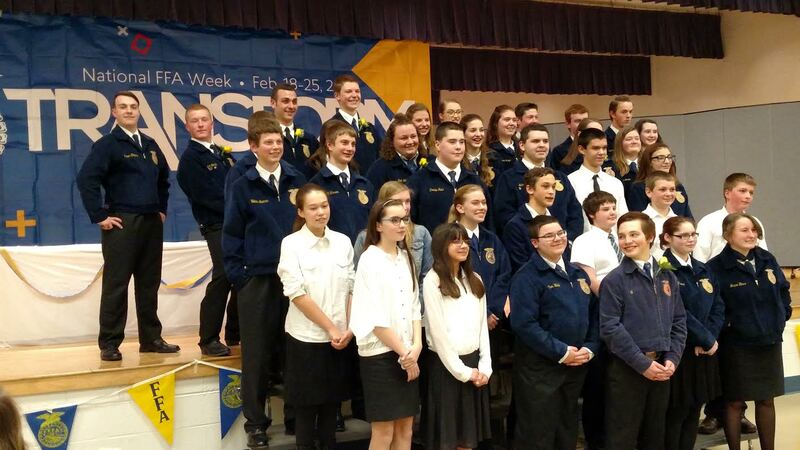 The FFA Banquet was a night to remember honoring all the things the Garden Spot FFA has accomplished this year.